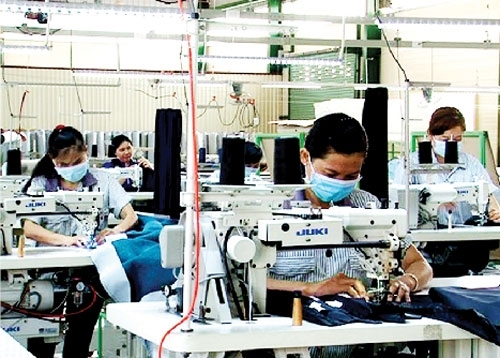 (VEN) - The support industries in the Mekong Delta province of Long An have undergone positive changes with a focus on six sectors, including garment and textile, footwear and leather, engineering, packaging, electronics and plastics, according to the Long An Department of Industry and Trade. The development of support industries has contributed to promoting the province’s industrial growth, by meeting the requirements of the manufacturing and processing sector. 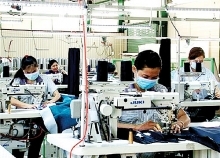 Support industries for the garment and textile sector have thus attracted the interest of domestic and foreign investors. For example, the Huafu Textile Group from Hong Kong, China has poured around VND6 trillion into the construction of a yarn plant with capacity of around 30,000 tonnes of yarn per year. The American Trillions Group has invested US$120 million in the Tan Duc Industrial Park to implement dying projects. The local engineering sector has also made positive contributions to the development of support industries, producing machinery and equipment to serve agricultural production, such as rice milling machines and reapers. Their products are not only sold domestically, they are also exported to neighboring countries. However the province’s support industries are not sufficiently developed and raw materials, machinery and equipment serving agricultural production still have to be imported. In 2016, local businesses imported machinery and raw materials for production with a total value of about US$3.2 billion. A representative of the Vo Song Plastics Co. Ltd. said that almost all plastic businesses have to import some 70 percent of their materials. 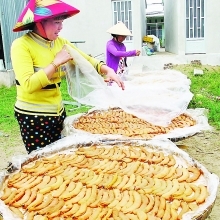 Long An Department of Industry and Trade Director Le Minh Duc said that the province is perfecting mechanisms and policies to encourage the development of support industries. The province has paid special attention to promoting links and providing support for businesses in order to help them become suppliers. In addition, the province is calling for domestic and foreign investment in support industries. Long An Province will also focus on earmarking capital, developing human resources, improving infrastructure and building material areas. According to the provincial support industry development plan by 2020, with a vision to 2030, support industry sectors will account for more than 21 percent of industrial promotion value of the wholly industry.